Screenwriter and director best known for creating and hosting the original Twilight Zone TV anthology series. He was an outspoken political activist and a visible anti-war protestor throughout his lifetime. 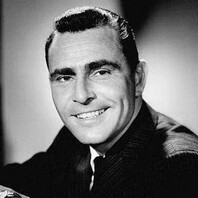 How much is Rod Serling worth? The tools of conquest do not necessarily come with bombs and explosions and fallout. There are weapons that are simply thoughts, attitudes, prejudices -- to be found in the minds of men. For the record, prejudices can kill and suspicion can destroy, and a thoughtless, frightened search for a scapegoat has a fallout all its own -- for the children and the children yet unborn. And the pity of it is that these things cannot be confined to the Twilight Zone.